Below you can view all the homes for sale in the Cedar Forks subdivision located in Marietta Georgia. Listings in Cedar Forks are updated daily from data we receive from the Atlanta multiple listing service. To learn more about any of these homes or to receive custom notifications when a new property is listed for sale in Cedar Forks, give us a call at 404-998-4102. Large Level Backyard W Space And Privacy. MLS#6536105. Mark Spain Real Estate. Come And See W/ Your Own Eyes. MLS#6533827. Nabors Norris. No Hoa But You Can Join East Cobb Swim And Tennis Right Up The Street. 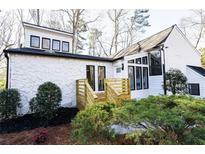 MLS#6519372. Harry Norman Realtors. See This Home Today, Before It'S Sold On Tommorrow. MLS#6524067. The Realty Group. Exterior Painted 2 Years Ago Newer Hvac, Attic Has Recently Had Full Exclusion, Garage Has Extra Insulation Allowing Better Temperature Control Perfect For His Man Cave! MLS#6504272. Coldwell Banker Residential Brokerage. 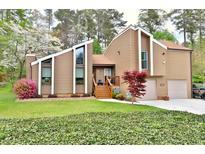 Great 4 Yr In-Law.Situated In A Convenient, Friendly E Cobb Nearby Shopping, Dining & More! MLS#6123034. International Real Estate Dream, Llc..
2 More Beds Share Full Bath & Basement Leaves Space To Spare! MLS#6116654. Knock Homes, Llc..